Browse Cheap Tottenham tickets below! Whether you’re devoted fans, or just looking for something to do on a Sunday afternoon, Ticketgum has got you covered for all Tottenham tickets. ‘Spurs’ as they’re more commonly known, are a strong force within English football, claiming many trophies and titles over the years. A Tottenham match always promises excitement, so be sure to get your Spurs tickets with us before they all go! Number of championships: First Division – 2 times; Second Division – 2 times. Number of Cup wins: FA Cup – 8 times; League Cup – 4 times; FA Charity Shield – 7 times; UEFA Cup – 2 times; UEFA Cup Winners Cup – 1 time; Anglo-Italian League Cup – 1 time. Tottenham Hotspur, most commonly referred to as ‘Spurs’, are based in Tottenham, North London, are well-renowned for being a force and talent in the English Premier League. Founded by a group of schoolboys back in 1882, Tottenham Hotspur was originally named Hotspur, but they were forced to change their name to avoid confusion with a more established club named Hotspur FC. 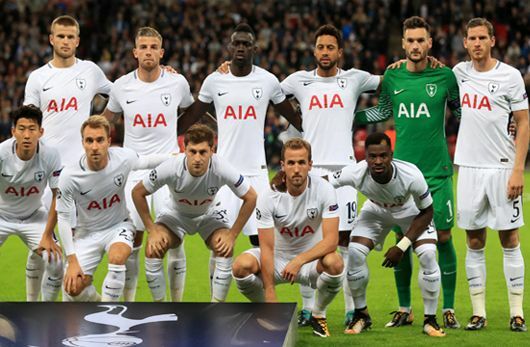 In their initial stages, Spurs’ progress was rocky as they played to move up in the leagues and establish a reputation for themselves. But it wasn't until Bill Nicholson's appointment as manager in 1958 that the club reached a turning point. Nicholson was the club’s most successful manager, leading the team to major success three seasons in a row in the early 1960s. In 1963 Spurs continued on a success streak when they became the first English team to win a European trophy (European Cup Winners’ Cup). They were also the first English team to win two different European trophies after they won the UEFA Cup (which later became the UEFA Europa League) in the 1971-1972 season. Nicholson proceeded to win 8 major trophies in his 16 years of the ‘glory days’. But the 'glory days' didn't last long. The 1970s saw the club go into decline, and Nicholson resigned after a bad start to the 1974-75 season. But the dreary days didn't last for long, with Tottenham's new manager, Keith Burkinshaw, leading the team to victory in the FA Cup in 1981 and 1982, and the UEFA Cup in 1984. From the early 1990s until the late 2000s, Spurs’ performance was mediocre, finishing mid-table most of the time. It wasn't until the appointment of Mauricio Pochettino and striker Harry Kane that set them on the path to success, and even finishing in second position in the 2016-2017 season. Today, despite doubts over the club's success in recent years, Tottenham Hotspur is viewed as a contender to win the coveted Premier League trophy in their brand-new world class stadium. What is Tottenham’s Most Successful Period? Tottenham’s most successful period is during 1960-1972, winning more titles and cups than any other period in the club's history. The 1960-1961 season, in particular, began with the team winning 11 matches in a row, then one draw, followed by 4 wins again - the best start of any club at the time. During this spell, Spurs won the Premier League trophy twice, as well as the FA Cup in 1961. Not to mention their success in Europe, claiming the UEFA Cup Winners’ Cup in 1962-1963 and the UEFA Cup in 1971-1972. How to Buy Tottenham Tickets on Ticketgum? Enjoy your Tottenham Hotspur tickets!